I’ve been trying to eat more fresh foods lately and I think this might just be my new favorite go-to healthy recipe. I’m kind of having a love affair with avocado these days eating it in everything including soups and scrambled eggs. 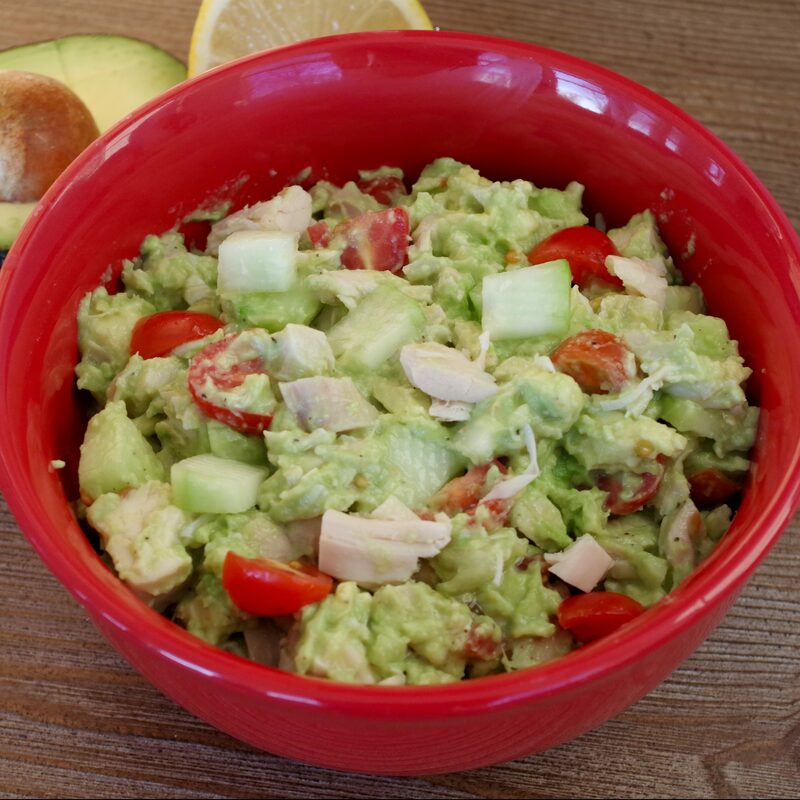 If you like traditional mayo based chicken salad then you are going to LOVE this Avocado Chicken Salad recipe. It’s so easy to make and every single ingredient in it is good for you. It’s best served fresh. You can keep it overnight in the fridge to eat later, but it’s definitely not as good as when you mix it up and eat it right away. I can’t wait to mix up a few batches this summer when my tomatoes and cucumbers on coming on in the garden. YUM!! Step 1: Mix cucumber, tomatoes and chicken in a bowl. Step 2: Slice avocados in half, remove pit and scoop flesh into bowl. Step 3: Squeeze lemon juice over top and sprinkle with salt and pepper. Step 4: Mix and serve chilled with crackers or on toast. Whats your favorite way to eat avocado? I’d love to know! Mix cucumber, tomatoes and chicken in a bowl. Slice avocados in half, remove pit and scoop flesh into bowl. Squeeze lemon juice over top and sprinkle with salt and pepper. Mix and serve chilled with crackers or on toast.